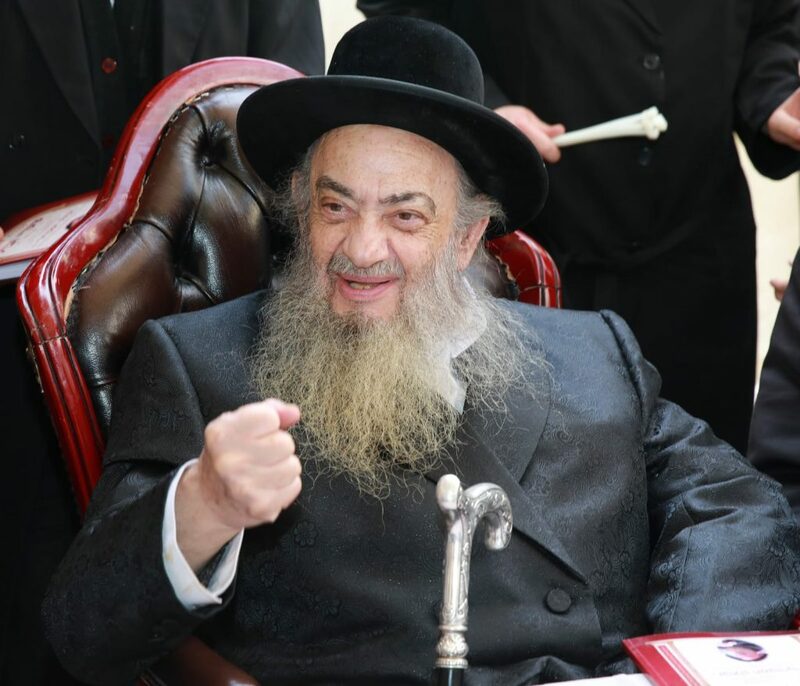 Klal Yisrael mourns the loss of Harav Zevulun Hamburger, zt”l, who was niftar on Monday morning, 29 Shevat, in Yerushalayim’s Hadassah Ein Karem hospital. He was 76 at his petirah. Harav Hamburger, who lived in Moshav Gamzu until recently, was a renowned mechaber sefarim, writing 14 volumes of his Shaarei Zevul, on all facets of the Torah. He was born in Elul 5702/1942 in Yerushalayim, to his father Harav Avraham Moshe Hamburger, a noted talmid chacham and masmid of Yerushalayim of old. His mother, Rebbetzin Toiba Miriam, was the daughter of Harav Zevulun Charlap, after whom he was named. His father, Rav Avraham Moshe, was known for his outstanding hasmadah – he would learn for 18 hours a day, and was also fluent in all of the Torah. In his youth, Reb Zevulun learned in Talmud Torah and Yeshivas Eitz Chaim, and later in Yeshivas Tchebin, where he forged a lifelong connection with the Tchebiner Rav. The Rav even bestowed a haskamah to his sefer on Maseches Kiddushin. He later learned in Yeshivas Mir, under the tutelage of the Rosh Yeshivah Harav Chaim Shmuelitz, and later his son-in-law Harav Nachum Partzovitz. Reb Zevulun saw Reb Nachum as his Rebbi muvhak, and would say that his derech halimud was learned and nurtured under Reb Nachum. Reb Zevulun delved into the limud of chachmas hakabbalah, learning under the leading mekubalim of Yerushalayim. Many mekubalim of this generation learned from Reb Zevulun. Reb Zevulun saw it as his mission to teach and spread Torah and his shiurim were well-attended, in Moshav Gamzu and wherever he delivered them. In recent years, Reb Zevulun founded the Zvul Tifartecha Institute, with the goal of republishing all his sefarim, after decades have passed since their initial publication. The humble residence of Reb Zevulun in the neighborhood of Batei Horodna in Yerushalayim was a known address, with many coming to his doorstep, as he was renowned as a poel yeshuos. Many came to consult with him on the most complicated matters. About a decade ago, Rav Zevulun suffered a stroke, from which he remained partially paralyzed, yet he continued with his great avodah and received audiences for brachos and yeshuos. At the beginning of Shevat, Rav Zevulun was hospitalized in a difficult situation, with many davening for his refuah. On Monday morning, his soul was returned to its Maker. His levayah was held on Monday afternoon, from his home in Batei Horodna to Har Hamenuchos, where he was buried in the Chelkas HaRabbanim.